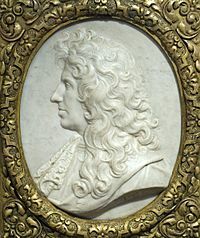 Christiaan Huygens, FRS (/ˈhaɪɡənz/ or /ˈhɔɪɡənz/; Dutch: [ˈɦœyɣə(n)s] ( listen)) (Latin: Hugenius) (14 April 1629 – 8 July 1695) was a prominent Dutch mathematician and scientist. 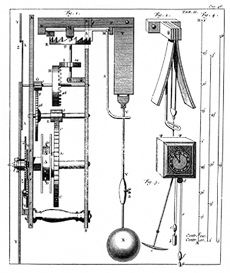 He is known particularly as an astronomer, physicist, probabilist and horologist. Huygens moved back to The Hague in 1681 after suffering serious depressive illness. 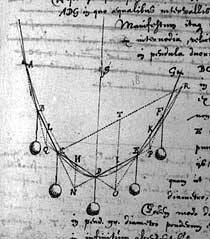 In 1684, he published Astroscopia Compendiaria on his new tubeless aerial telescope. His father died in 1687, and he inherited Hofwijck, which he made his home the following year. 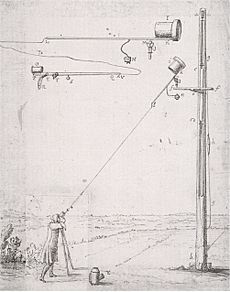 Huygens observed the acoustical phenomenon now known as flanging in 1693. He died in The Hague on 8 July 1695, and was buried in the Grote Kerk. Portrait of Huygens' father (center) and his five children (Christiaan at right). Christiaan Huygens Facts for Kids. Kiddle Encyclopedia.